Continuous cropping of cotton causes accumulation of allelochemicals in soil that results in substantial crop yield and quality losses. To elucidate the physiological mechanism of the effects of allelochemicals on cotton root growth, and solve the problem of continuous cropping obstacles, hydroponics experiments were carried out to study the effects of three allelochemicals (p-hydroxybenzoic acid (PHBA), phloroglucinol, and ferulic acid) at different concentrations (0.8, 4.0, and 20.0 mmol L−1) on the production of reactive oxygen species, antioxidant enzyme activities, and mitochondrial function of cotton seedling roots. 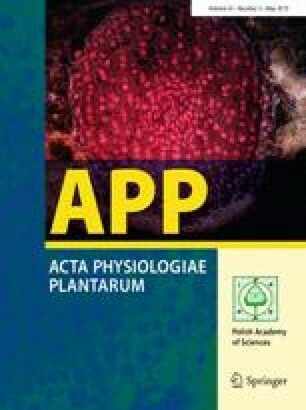 All three phenolic compounds suppressed cotton root growth, decreased the activity of antioxidant enzymes (superoxide dismutase, catalase and peroxidase) and H+-ATPase in root mitochondria, and increased generation of O2− and the content of H2O2. They also increased the degree of openness of mitochondria permeability transition pores, and decreased the membrane fluidity of mitochondria, and the ratio of cytochrome (Cyt) c/a, thus resulting in the damage of mitochondrial structure and overall function of the root system. Ferulic acid at 20.0 mmol L−1 inhibited cotton root growth more than the other treatments. Above all, all three kinds of allelochemicals inhibited antioxidant enzyme activity and mitochondrial function in cotton seedling roots, and the inhibition depended on the dose of phenolic compounds. Compared to PHBA and phloroglucinol, ferulic acid was a stronger inhibitor of cotton seedling root growth. This research was supported by the National Key Research and Development Program of China (2017YFD0201900), the Science and Technology Support Program of Jiangsu Province (BE2014389), the Jiangsu Provincial Key Laboratory of Agricultural Biology Open Fund (4911404215Z011) and the Jiangsu Collaborative Innovation Center for Modern Crop Production.